Over 35 years of experience with the government and multi-national companies both regionally and worldwide. He exemplifies with an outstanding array of professional experience, knowledge and competencies, which saw him leading the entities he worked with achieving international accolades. The global exposure of holding senior management positions in different continents worldwide, particularly with regional attachments in Germany, Africa, Middle East, South East Asia and North Asia has seen to the business acumen and management business excellence in Munies. He brings in-depth experience in the Operations, Human Capital and Management perspectives of manufacturing, trading, transportation, shipping and logistics entities worldwide in the names of Elcon GmbH, Isorast Afica, Dubai Diamonds, Flextronics, Sky Schreiber International, DHL and Motorola. Mr. Munies specialises in supply chain security, investigations, HR Management, and counter/anti terrorism facets of the business. Instrumental in driving certifications of C-TPAT, AEO and TAPA for the companies, subsidiaries, affiliates and business partners that he had been engaged with. He holds a Master of Science in Security and Safety Management, a Certified Train The Trainer of HRDC Malaysia with a Bachelor of Arts (Education) and Certified in Teaching English & History. 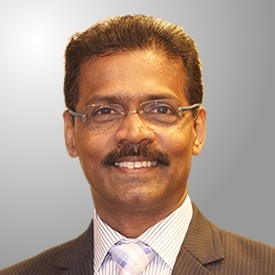 On a senior management level, Munies has held the positions of Chief Visionary Officer (CVO), Business Development Director, Administration Director, Senior Consultant, Investigations & Supply Chain Security, Regional Manager, Country Security Manager, Area Security Manager, Group HR/Admin Manager and DG3 Education Officer. He has presented thought provoking contemporary presentations at international conference on supply chain security, a charismatic speaker, eloquent conference/forum moderator, vibrant trainer and a motivating educator.